NIck Brooks for Shaw Media. 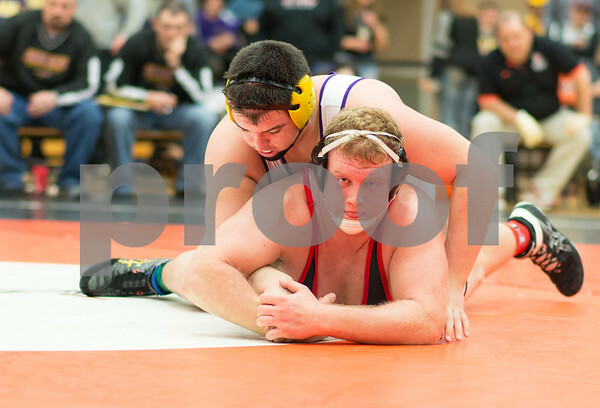 Huntley wrestler Dom Swanson taken down by Hononegah's Tony Cassioppi in the 285lb. weight class. Cassioppi took first place in the 3A Regional held at DeKalb High School.